Why it’s hard to run during winter, and why you have to get past all of it! Winter is the off-season for most runners, a time when you can try to strengthen your muscles and relieve yourself of injuries. But it’s also the time to build up your base for the season to come. If you relax, the chances of it being a good season are reduced greatly as it takes time to build up your capacity. 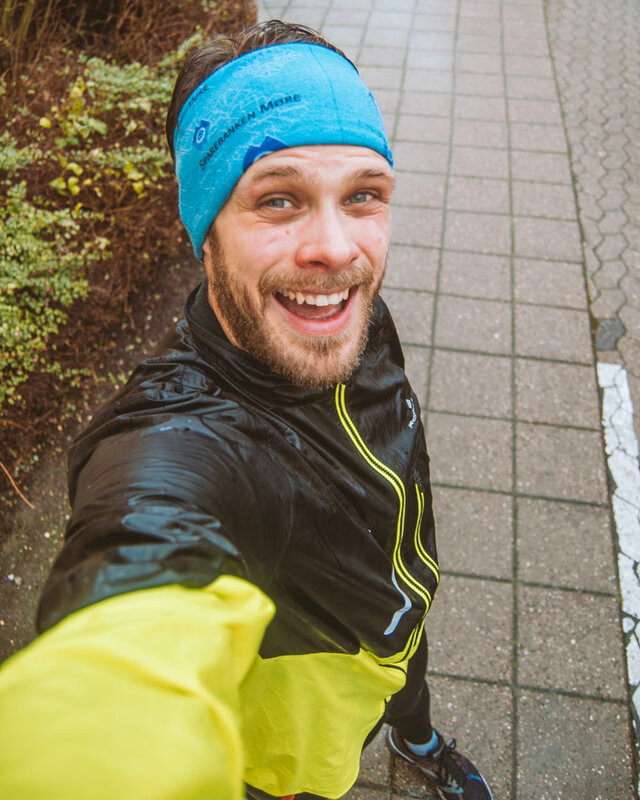 Getting through a winter with enough training is a testament to your will and toughness, as nature is constantly trying its best to ensure that you stay indoors! Your usual 6 am morning run or 10 pm evening run is drastically changed when the year gets closer to an end. The light that normally spans over the larger part of your day gets minimized, until you suddenly stand ready and its already too dark. You figure out that you can do better next morning, and decide to get up even earlier than normal. But then fail miserably because it’s just too dark outside and your normal waking up reflexes aren’t working, as they should. You’re up early, you managed to finally get ready and then you realize that it’s just suddenly below zero degrees outside, and you don’t have clothing to compensate for it. You go buy new warmer clothes, but you still struggle just as much the next day because you know it’s just going to be way too cold when you open the door. The door is now the hurdle, because it’s just so warm and cozy inside. Wouldn’t it just be better having a hot chocolate, coffee or tea under the blanket? You put your windbreaker on the next day to head out. The feeling is back, you are flying despite the gusts of wind. But in one turn you realize that running quickly isn’t possible anymore, because of slippery surfaces. Every turn becomes a challenge, and the straights are way too slippery for you to gain any kind of proper pace. Then you look up, slow down and realize that you are outside. A bird flies by, and you see the sun rising (or setting), washing away the fog covering the riverbed and frost on the ground. There are just so many reasons not to get out in nature. But if you get out just one morning, it all makes sense again. No matter if it’s cold, windy, slippery, wet or dark, it’s all worth it for the experiences you get being outside in the fresh clean air. The upside is so much bigger than all the challenges. And if you get out and it’s hard one day, then you just feel more badass when you get back home and into the warm and cozy couch. So what if you have to get through hardship during the winter. That’s how you grow stronger! If things weren’t hard, they wouldn’t be worth doing in the end, and winter is here to test you so that you can succeed and be better than everyone else come springtime. The best interval session I've ever had! I wrote about me doing this interval session yesterday on my Instagram, and I must admit I had butterflies in my stomach before running yesterday. Once I start I struggle with finding the motivation to finish it, but with a friend pushing you it all gets a lot easier. It seems like my goal to complete a half marathon under 1:40 has been very conservative. In order to do so I would have to run at a 4:44 pace for the entire length of the race. Silence and still waters along the rivers in the morning is always a serene experience. Nikon D200. Training in the morning is both such a blessing, and such a chore. Here my view on the early morning activity. Yesterday's run was completed two weeks ago at a significant lower pace and heart rate. Major improvements during the last weeks! Now there isn't any scientific testing behind the bombastic-ness of the title for this post, and frankly I wouldn't have noticed had it not been for Stravas "Matched Runs" function.